Christmas Cookie Swap banner, 4 feet by 2 feet indoor/outdoor vinyl banner. 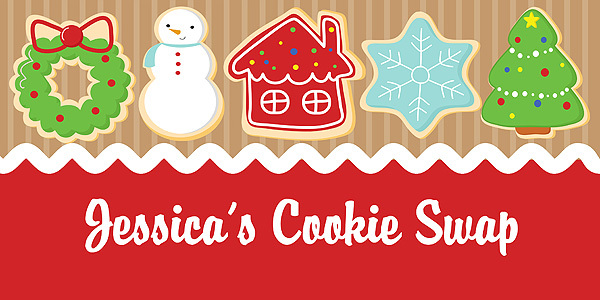 The cookie swap banner is perfect for a holiday cookie swap party and is high quality with vibrant colors. Vinyl banners are very durable but lightweight at the same time. The personalized banner would make an excellent keepsake and can be used year after year for an annual cookie swap exchange.